For the first time since Serbia entered the European integration process, a European official – European Commission President Jean-Claude Juncker – has indicated a timeframe by which Serbia (and Montenegro) could become EU members. This statement came at a moment when, after years of recession and stagnation, the EU is entering a phase of mild but seemingly stable economic growth. Such a series of events was last recorded almost two decades ago: it was then that the countries of Central and Eastern Europe seriously considered the hand of cooperation offered and, in 2004, many of them became new members of the Union. Membership came at an exceptional moment for those countries and for the Union itself, which during that period recorded what was until then an historically-unprecedented ten years of uninterrupted economic growth. Under such conditions, connections between the economies of new and old members came strongly and swiftly. The importance of this process was also clearly visible during the financial crisis – the new EU member states weren’t generally hit as hard by the crisis (especially Poland) and after emerging from the crisis these countries began to record significantly higher economic growth than both the older EU member states and the countries of Southeast Europe. There are only limit possibilities of drawing parallels between these two historical periods: the European concept of a single market has proven extremely successful. Although there have always been various debates within the Union about its future, the one about unification was stronger. The foreign policy situation was such that it demanded less focus on the EU’s own territory: the alliance with the U.S. was strong, and on the horizon, there were no rivals with similar power in either military or economic terms. On the internal front, European politics was led from within the framework of shifts between traditional parties to the left and right of centre. Among the then EU candidate countries there was strong internal consensus for EU membership to be chosen as a means of permanently escaping Russian influence. Today’s European foreign policy position is more complex, as it is often shown that the alliance with the U.S. is a rebus with an internal logic that is sometimes difficult to follow. Relations with Russia and Turkey hinder and complicate the search for more efficient solutions to crisis hot spots worldwide. Political tensions complicate the penetration of European companies onto the markets of the future, such as Eurasian markets. China is emerging as a strong foreign policy factor and future economic giant. The rise of Industry 4.0. creates space for the cards to be dealt with again in an ever more globalised economy that weakens the role of nation-states in leading development policy. On the internal front, almost all EU countries are experiencing political turbulence, where new political movements and separatist desires are being born on the wings of citizen dissatisfaction with the economic situation. Today’s candidate countries have learned little from previous years of stumbling between conflict and recession. The Berlin Process and Euro-integration painfully map out the paths of connectivity that counter strong outbursts pushing a return to the past. Although such outbursts are allegedly motivated by short-term motives of gaining election points, it shouldn’t be overlooked that research shows young people are agile receptionists of such messages and have views that could potentially see them become new cannon fodder for conflicts. The foreign policy determination of candidate states, with the exception of Montenegro, is questionable. 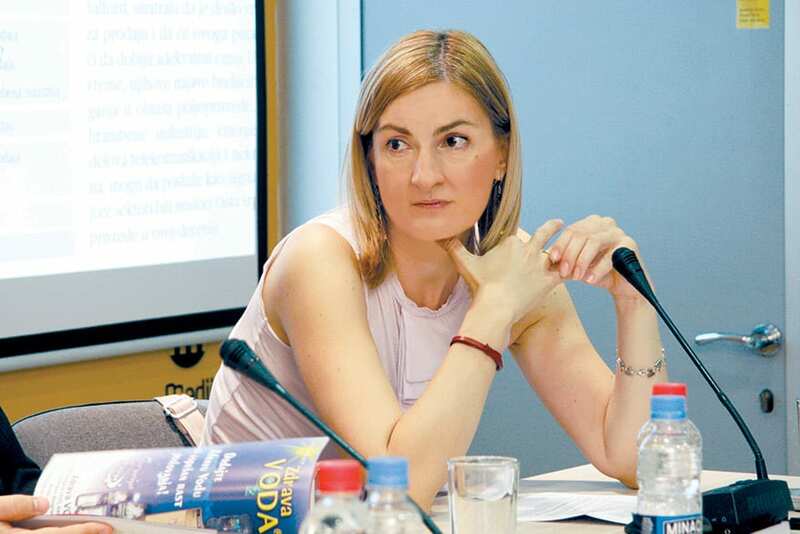 Serbia, and to a lesser extent Montenegro, have made it known to their European interlocutors that they are finding it toughest to harmonise in the two most important segments: building the rule of law and a functional economy orientated towards the market. In this first area, Serbia received a serious lesson, while in the second area the logic of economic policy behind the budget formulation does not provide much room for hope that the government is ready to essentially get to grips with building a long-term stable and transparent business environment.